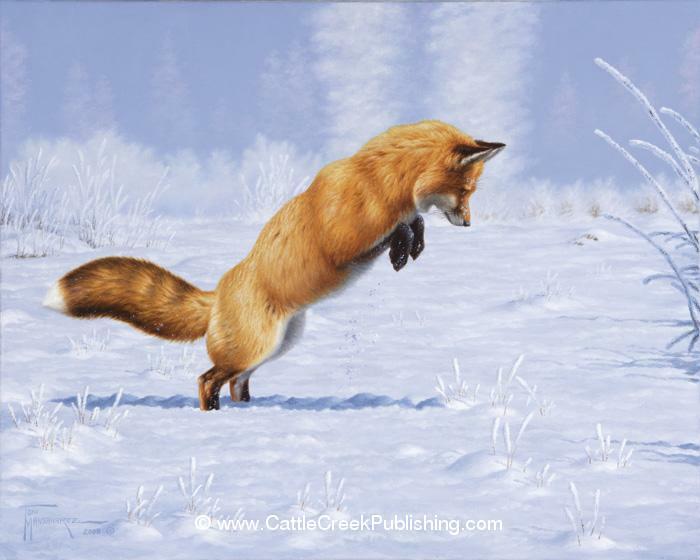 Hidden Treasure A hunting red fox is in full mousing mode in the deep snow. 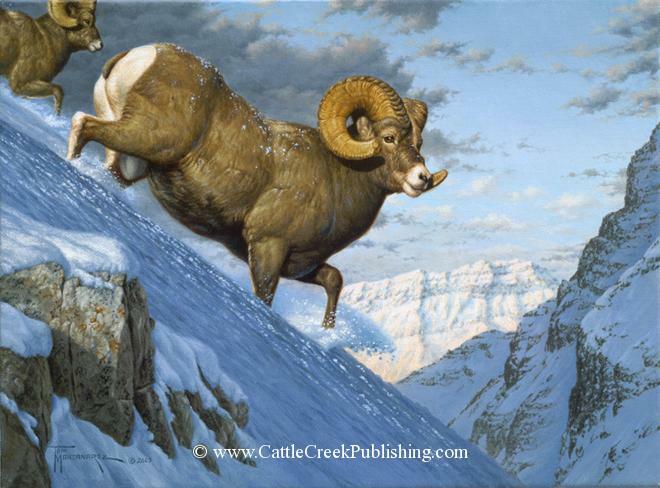 Breaking Trail A pair of Bighorn sheep rams plow through deep snow heading for their winter range. 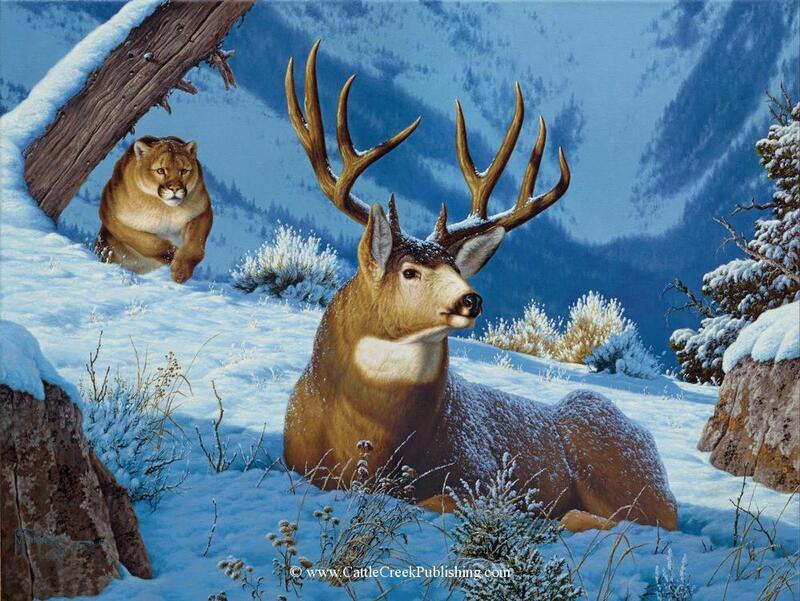 Sneak Attack A large cougar, or mountain lion, has found a mule deer buck and hopes to close the deal. 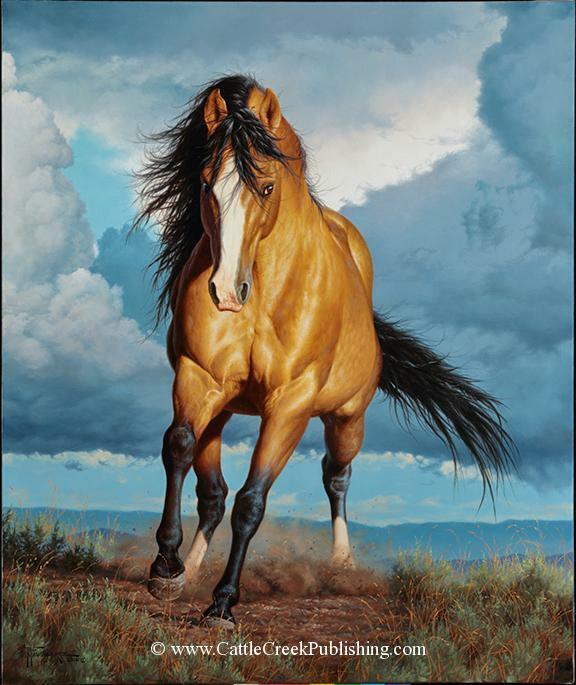 Rolling Thunder This buckskin horse is strutting his stuff as mustang stallions love to do.